Legacy Building Solutions has announced that the Solar Ship Brantford off-grid hangar, a joint venture with Canadian Energy and Solar Ship, has been awarded the ‘Game Changer Project of the Year’ by Canadian Solar Industries Association (CanSIA). With the award for Solar PV Project, CanSIA recognizes the hangar for using a reliable and cost-effective system that advances the future of building-integrated distributed generation. The hangar, engineered, manufactured and installed by Legacy, is a fabric structure on a rigid steel frame. 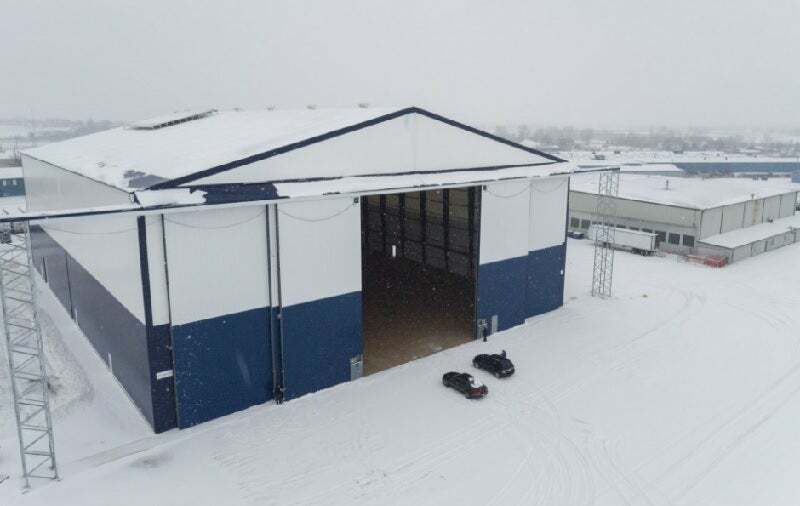 The strength of the frame combined with the lightweight fabric enabled the 176ft x 231ft building to be built 60ft-high at the eaves, with an interior clearance of 82ft. Solar Ship partner Lewis Reford said: "Legacy Building Solutions has given Solar Ship more than just a state-of-the-art hangar and assembly building. Through our close collaboration, their design incorporates a self-reliant photovoltaic power package that sits above the fabric roof, allowing our building operations to be entirely off-grid. In addition, Legacy’s foundation design allowed us to re-use an existing concrete pad, saving us time and money during construction. These innovations were part of our top-level requirements, and delivering on them really sets Legacy apart from the traditional building segment."